Hey loves! I thought I would share some of my phone snaps with you all. If you follow me on instagram (@simplynancyblog) then you have already seen these but I figured there are some of you that haven't seen them. Also this way I can give you guys more details and product links as well! Okay, let's begin! 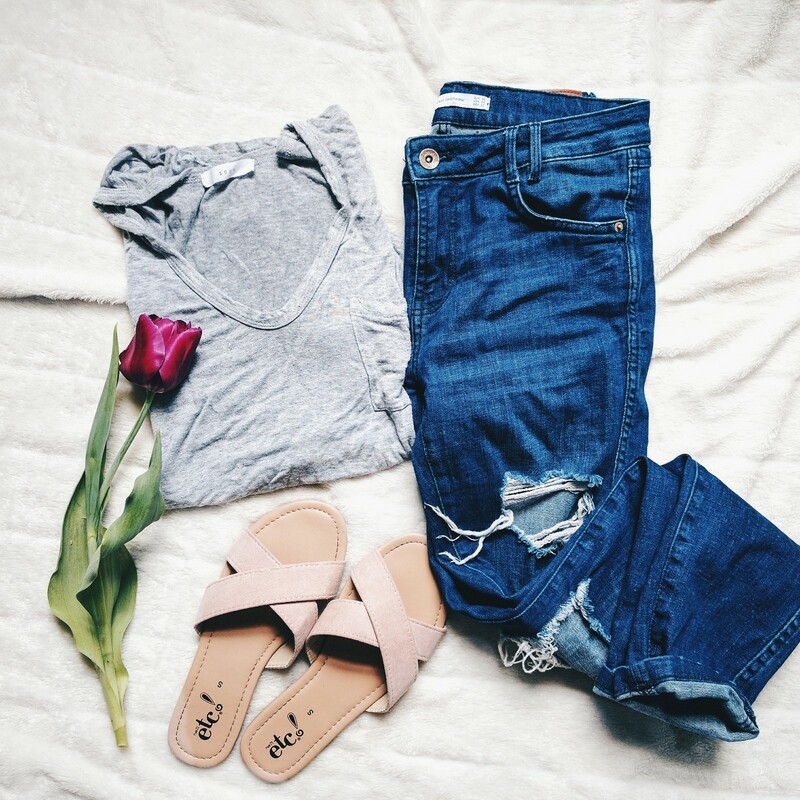 One of my favorite types of pictures for insta are flatlays! I've been having so much styling them! The grey tee you see here is one of my favorites ever!! I got it during the nordstrom anniversary sale last year and it was one of the best things I bought! The jeans are Zara from last summer but this pair is similar. And lastly, the sandals are from Rue 21. Another one! 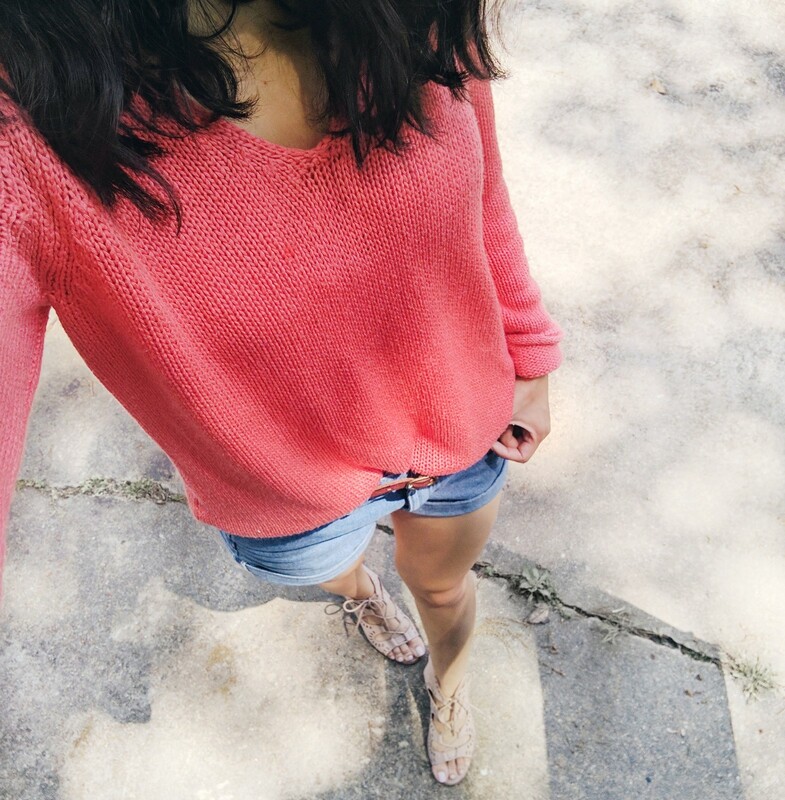 I love knits in fun, bright colors for summer! It's from H&M and available here. The shorts are also H&M from last summer but are back this year. The bralette is Rue 21 and the sandals are from Target. 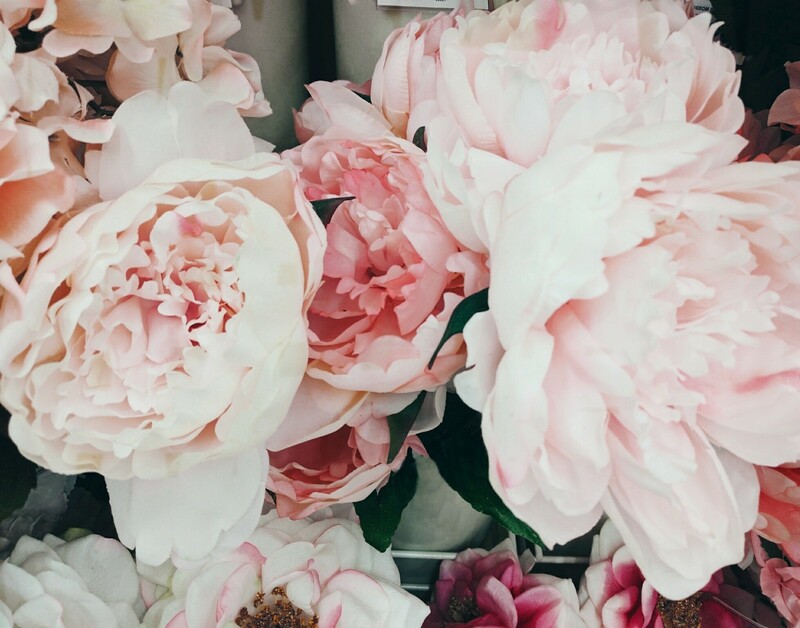 How beautiful are these peonies!? They're the fake flowers from Michaels but they look pretty realistic to me. You won't need to worry about buying new flowers every week with these haha. You guys have already seen me wearing these beauties here & here. They're from Steve Madden and I absolutely love them! They come in so many fun colors too! If you've been eyeing them buy them now! 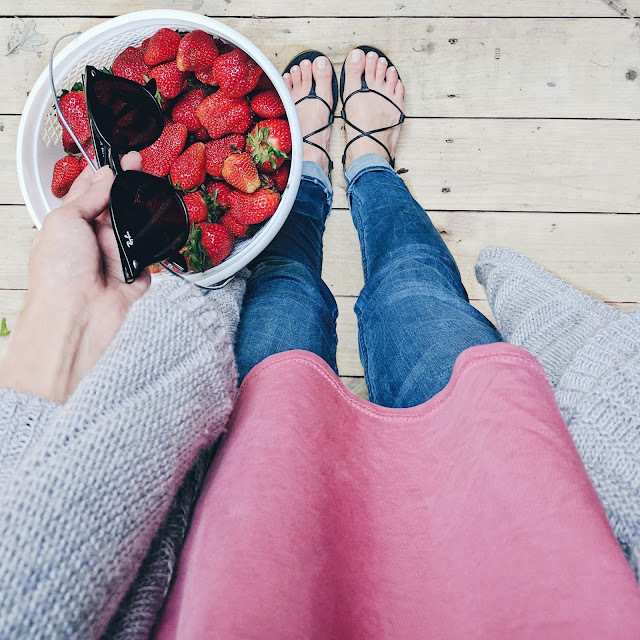 One of my favorite things about May is fresh strawberries. Lucky for me there's a place right up the road from where I live that sells them. The sandals are from Madewell, jeans are Zara, sunnies are Ray Ban, and top & cardi are Rue 21. I'm loving this light pink polish - pinky swear by wet n wild. It is one of my go-to colors for summer because it looks great with a tan. But the real gems in this photo are my new bracelets!! :) They are each under $15 and the quality is superb (for the price)! The twisted pave one is here and the light pink stone cuff is here. To see my full outfit from this day click here. And last but not least this is what I wear when the gloomy weather gets to me: all black. Who am I kidding though, all black is one of my favorite combos even when I'm in a good mood haha! The jacket is All Saints, tee is from Target, jeans are H&M, and shoes are Forever 21. Let me know if you guys would be interested in a post about how I edit my instagram pictures! Absolutely love your style, lady! I'm all about bright colors and Steve Madden sandals! Yayyy for birthday months! This outfit is so gorgeous on you for cinco de mayo, I especially love the red wedges and that res bag! I love love love these photos, they're so pretty! Your flatlays look great. Aw, thank you Katherine!! You are too sweet!